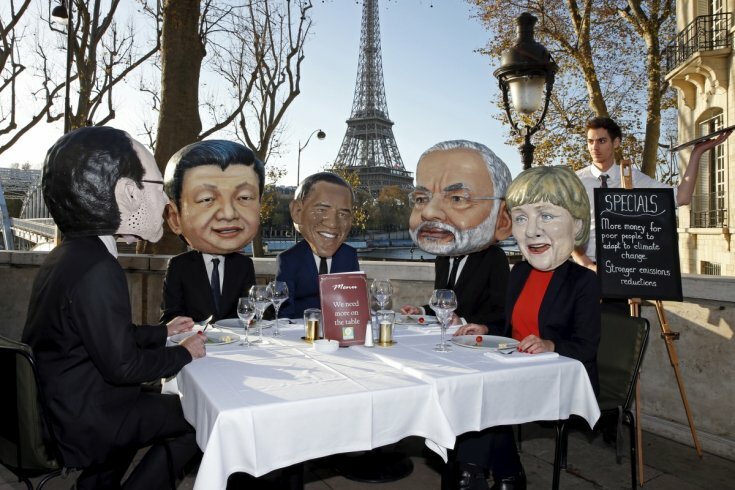 The 2015 United Nations Climate Change Conference or COP21 was held during the last two weeks at Paris. The event that comprise most of the countries of the world is supposed to generate a compromise on reducing pollution emissions to fight climate change. A noble ideal but as recent news show, regulatory states agencies do things worst for ecology. The event as usually is celebrated by the most statist left and questioned by hypocrite big government conservatives. But maybe there is room for hope. Surprisingly, the iconic liberal environmentalist Bill McKibben made a statement that almost sounded libertarian: “Climate Protest Movement, Not COP21, Key to Preventing Uninhabitable World”. I don’t think you can clean up the environment the liberal way, either, through regulation. The only way, it seems to me to clean it up is to get back to the concept of individual responsibility, so that people are responsible for their actions; so that when you damage the environment, the people affected by it hold you responsible. Now the fact of the matter is that modern green movement was born as reaction of both Conservativism and Marxism. The original Green Party had the motto: neither left nor right but forward. Initially they were sympathetic to anarchist ideas. In fact the legendary Murray Bookchin was a member of the local green chapter in Vermont. The fact that they weren’t Marxists at least originally made some problems with the left that accuse the green movement of bourgeois reformism. While funny enough, people like Reagan speechwriter John McClaughry was sympathetic to the Green Party with the time he condemned their defense of green socialism. Today the answer of McKibben could not be understand by a suddenly libertarian instinct but by over-regulated spirit. The activists denounce the limits of the agreements because they were pushing for more. The protest is always welcome but it seem that it could useful some new ideas to solve the problem of climate change. I think free market environmentalism is the answer. Although I don’t think that what I have in mind is the same as Ronald Bailey, I think that cosmopolitan libertarians on issues like ecology are worse than even some liberals. After all the Koch brothers used eminent domain to defend XL Pipeline, an argument that made angry left-libertarians. Conservative libertarians had been sympathetic to some free market ecology although I think some still wait that a relatively sane Republican candidate would bring that to the table. While I had sympathy for both groups, I think that left-libertarians some time dismiss the possibility of electoral politics in process of ecology while the paleolibertarians are too hopeful in it. I think a character that could solve the discussion is Karl Hess is respected both by paleolibertarians and left-libertarians. His proposal for a libertarian environmentalism was both conservative and revolutionary. While the slogan “System Change not Climate Change” shows a distaste for liberal reformism, I don’t think eco-socialism has the answer. With renewal energies getting cheaper, the moment for a free market perspective on environmental issues is now but the problem is that there is public leader for that cause. Karl Hess was a man of left but he never conflicted his radicalism with honest sympathy to conservativism. The Ron Paul campaign could had bring left-wing environmental concerns with free market solutions but it didn’t. Some talk about we are living the end of liberalism maybe that is true. But if environmentalism is still alive the question is whether their opposition to some agreements would then go in libertarian direction would be too hopeful. The answer is in the frontlines where people and their communities fight for the preservation of their habitat, a lot of times against governments, corporations and sometimes even environmentalist organizations.